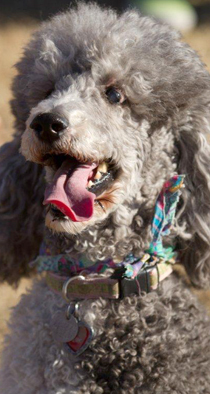 Arizona Poodle Rescue is an all volunteer group. We do not have a shelter. Our dogs are in private foster homes in the Phoenix area. Our animals come to us from local shelters, as well as from owners or breeders who can no longer care for them. We offer temporary care, spay or neuter, provide medical care when needed and find new suitable homes. We have developed a reputation in the community for being the “go-to” organization when Standard Poodles are in need of help. We understand the specific challenges that face this majestic breed. Arizona Poodle Rescue is a non-profit 501 (c) (3) organization. Although we minimize our expenses by developing veterinary and other professional service partners, we often have extraordinary medical expenses required to save a special dog. While we might ask for sponsorship for these special needs from time to time, monetary gifts are always appreciated. We also need volunteers to foster or assist with home visits and transport. As a non-profit, we rely on the generosity of poodle and dog lovers in general to assist us in continuing our mission of saving Standard Poodles in need. Proud recipients of Maddie’s Fund 2015 Non-Continuing Communities Grant for our Maximum Rehabilitation Project.